“Help! There is black mold growing on my bricks!” Black, blue or green, mold is a common problem because it will always thrive given the right conditions. It doesn’t take much to please mold. If moisture has a chance to sit over a prolonged period of time, mold is likely to form. Brick stairs or brick walls, mold doesn’t discriminate and can grow on any brick structure, especially if it is moist and doesn’t get much sunlight. If you simply ignore mold it will continue to grow and spread, threatening the aesthetics and eventually longevity of a brick wall. Battling mold on bricks doesn’t have to be complicated, in only a few steps you can remove mold from bricks. 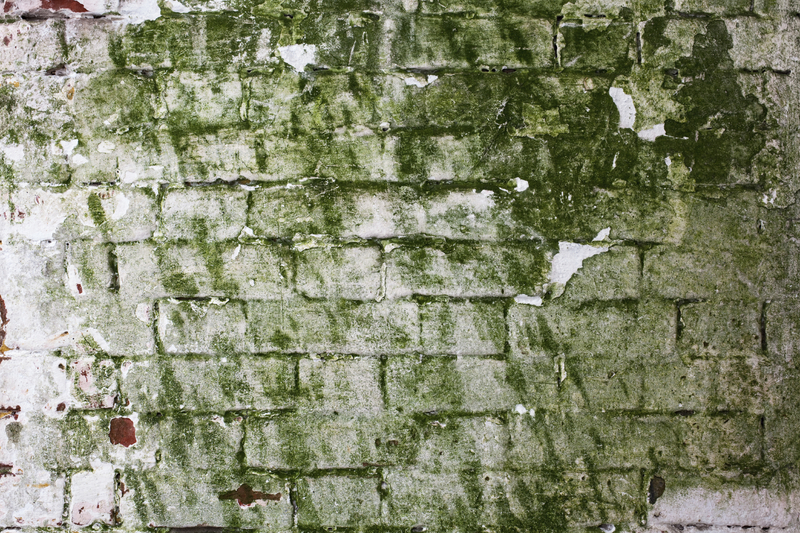 Understanding mold a little bit better makes it easier to win the war against it. Mold is a type of fungus, it is technically living but it is unique from plants, animals and bacteria. Individual spores are much too small for the human eye to see without a microscope. A huge colony of mold spores must congregate before the human eye can see them, when mold does form large enough to be spotted it usually appears blue, green or black. The color of mold says a lot about the colony, including its age, type and nutrient source. In order to survive mold requires water, a food source, oxygen and temperatures ranging between 40 degrees and 100 degrees Fahrenheit. Mold consumes dead organic material, which is why mold is often a problem in relation to weeds and other foliage growing on or near bricks. 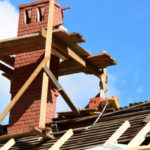 Mold cannot turn brick into food because brick is an inorganic material, but mold is able to survive on the dust/dirt layer that forms on the top surface of masonry structures. Mold will spread if it is not cleaned off bricks. It can spread to neighboring surfaces, widening more and more with each passing season. Or, mold spores can float away and land on other surfaces. When the right elements arise, or rather when the area becomes moist, the mold will grow. Thankfully, it’s easier than often assumed to remove mold from your bricks. Protect yourself, put on gloves and other protective gear. 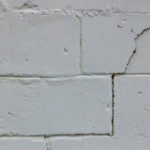 Apply mold and mildew remover (or weed killer) to the damaged areas on bricks. Let the mixture sit for 3-5 minutes. Rinse the area thoroughly using the hose, or a bucket if a hose is not available. Repeat the same process until the mildew is completely removed. Bleach is another option you can use to remove mildew from bricks. Combine one part bleach and one part water, and use in step 2. If you use bleach you must be careful about run off, the bleach can kill surrounding plant life. Some bricks will fade or turn a different color when exposed to bleach. It’s highly advised to try a small sample of bleach before applying to a larger surface area. Protect nearby plants regardless if you plan to use bleach or not. You may also want to control drainage somehow so that chemical-laced mold water doesn’t seep into nearby planters or other parts of your yard. People may tell you the only way to remove mold is with a power washer, but you don’t necessarily want to power wash your bricks. Power washers can seriously damage and weaken brick, it’s important to try all other methods and call out a professional before ever even considering using a power washer to remove mold. Certain areas are more prone to mold growth than others. If an area is routinely moist and does not receive much sunshine it is practically a welcome mat for mold. 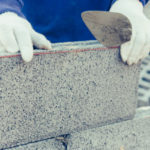 To limit the chance mold has to flourish in these dark, moist areas you should clean bricks with a garden hose, soft brush or rag around once a month—especially during the rainy seasons. Properly removing weeds from bricks, or trimming back foliage so that it does not touch brick can also limit the chance for mold to grow. 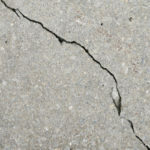 Mold in mortar joints can be particularly difficult to remove. If mold persists even after you clean it up, you may need help from a professional to properly address the problem. Need help removing mold or stains from your bricks? Turnbull Masonry is the number one source for all brick masonry needs!